Have you checked out our main site? Hey fans! 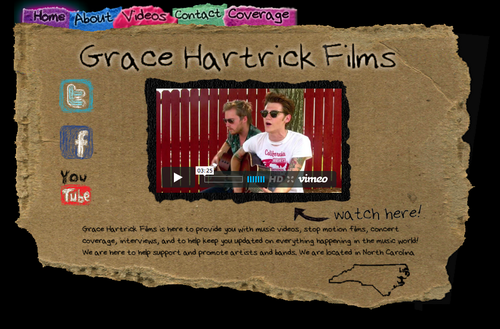 We would like to introduce you guys to our company’s main website: Grace Hartrick Films. Also, once upon a time, we filmed for a little band called All Time Low. Click to watch! Make sure to visit the site for more videos, interviews, and concert coverage!